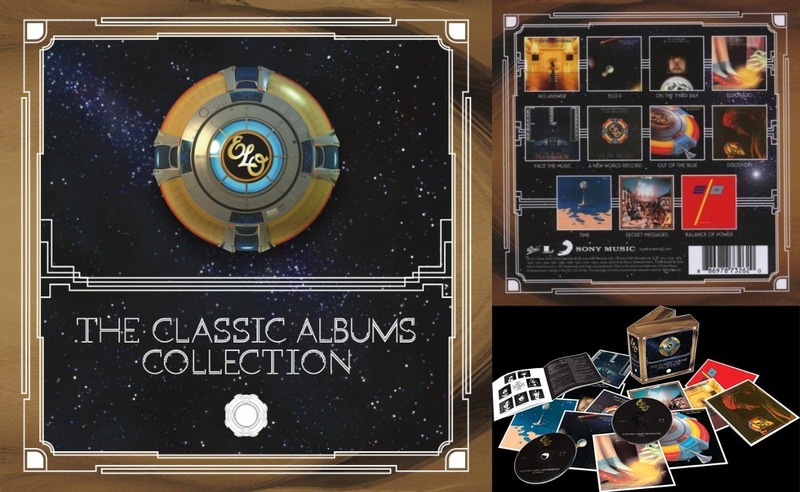 Back on Monday 10th October, Sony released "The Essential Electric Light Orchestra" - a 37 track, 2CD compilation that featured nearly all of the ELO UK single releases from "10538 Overture" to "Latitude 88 North". It included "Do Ya", "It's Over" and "Surrender" but not "Here Is The News" and "Getting To The Point" yet it was a tidy and attractive package for ELO fans new and old. Last Thursday [14th November] then saw the release of "Music Book" by Roy Wood [Yours Truly KJS will be reviewing it soon for ELO Beatles Forever] and now we have the second of Sony Legacy's 2011 ELO back catalogue resurrections with "The Classic Albums Collection" [#88697873262]. This neatly and attractively packaged compact boxed set contains all eleven ELO albums from 1971's self-titled release [a.k.a. "No Answer"] to 1986's "Balance Of Power". However, you will not find 1980's "Xanadu" or 2001's "Zoom" here. Not bad at all for around £30! There's a nice 28 page booklet summarizing all the remastered editions inside. As well as that, all the original single, gatefold and double album sleeves are replicated. Yes, you not only get all the original albums and their artwork, you get a full set of all the remastered, expanded editions we saw released between 2001 and 2006. This release is a great way to get associated with the full ELO brand and journey from their first French Horn blasts to their synthesized encore. "The Classic Albums Collection" is available from all reputable music outlets including www.amazon.co.uk, at the time of writing. And with Christmas around the corner, need I say any more?